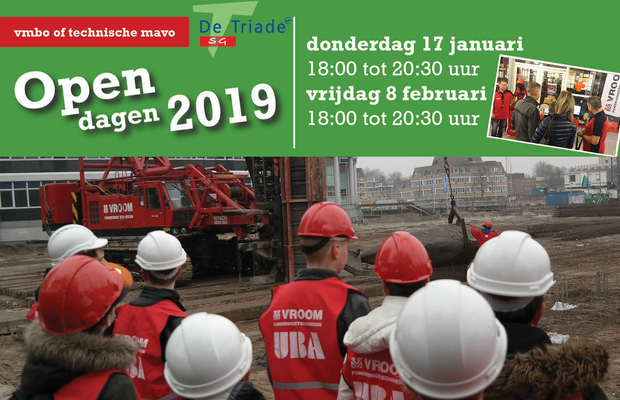 On Thursday, 17 January and Friday, 8 February, we at SG De Triade in Edam aim to show you what's so good about working in the construction industry! Vroom is happy to work with us on company and site visits, for instance, so that together we can give you a proper picture of modern professional practice. De Triade trains young people for trades such as joinery, interior design, website builders, programmers, or for a job in the construction industry. Fancy a look?